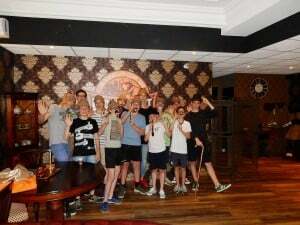 Can children hold their birthday parties in an escape room at The Escape Hunt Experience Maastricht? Yes, children over 12 accompanied by an adult can celebrate their birthday with us. The most suitable escape room for children is Shipwrecked on Cannibal Cove. For kids’ parties, birthday parties or a family activity with kids The Escape Hunt Experience Maastricht is a great new exciting attraction. Children over 12 years of age can play the game in the escape rooms with an adapted difficulty. 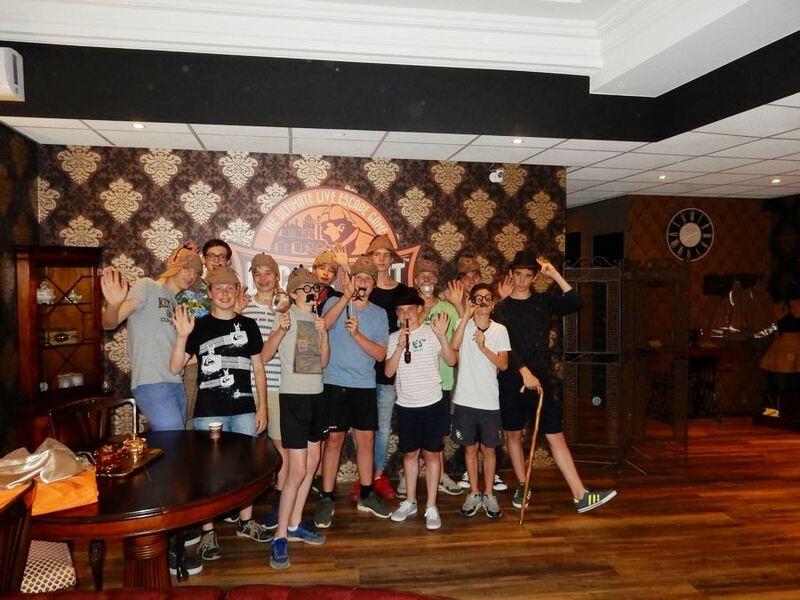 An escape room allows up to 4 children playing at the same time (at least one adult supervisor per team, so a total of up to 5 guests in an escape room or in one of our 2 escape rooms suitable for 6 players) – but what’s more fun than playing in teams against each other. Who is the first to crack the code to escape from the escape room is the winner? Naturally you will get your private photo shoot at the end of the game. Dive into our dressing case and make a super cool photo with your friends as a memento and share your photos online or with us. Make sure to be in time (minimum 15 minutes prior to your game slot). After the escape room briefing you will be locked up in one of our 6 escape room where your brains will be teased for maximum 60 minutes. Which of your boyfriends and girlfriends have the most brilliant ideas? Who knows how to escape of will you stay locked up forever …? Of course you can also bring mom, dad and your brothers and sisters to play in one of our escape rooms on a family visit to Maastricht. It fits in every day trip visit to Maastricht and being an indoor group activity – you can play the escape rooms at The Escape Hunt Experience Maastricht throughout the seasons!